I'm headed to Greece for two weeks but don't let that stop you from enjoying the awesomeness that is Wednesday at Eastern Bloc. 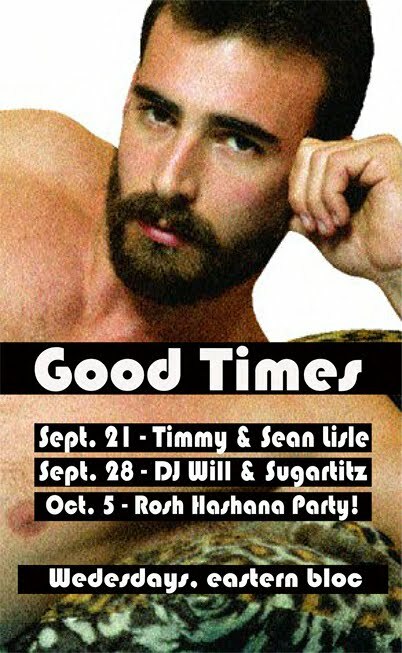 My good buddies Timmy, Sean L., Will and Eric (aka Sugartitz) will be filling in till I get back just in time for the annual Jew Year's Eve Rosh Hashana Good Times, complete with klezmer music and Manischewitz shots. It's Big Scot's favorite.